Former finance minister Ishaq Dar has rejected Prime Minister Imran Khan’s claim that the Pakistan Tehreek-e-Insaf (PTI) government had signed agreements with 26 countries pertaining to offshore accounts owned by Pakistanis. 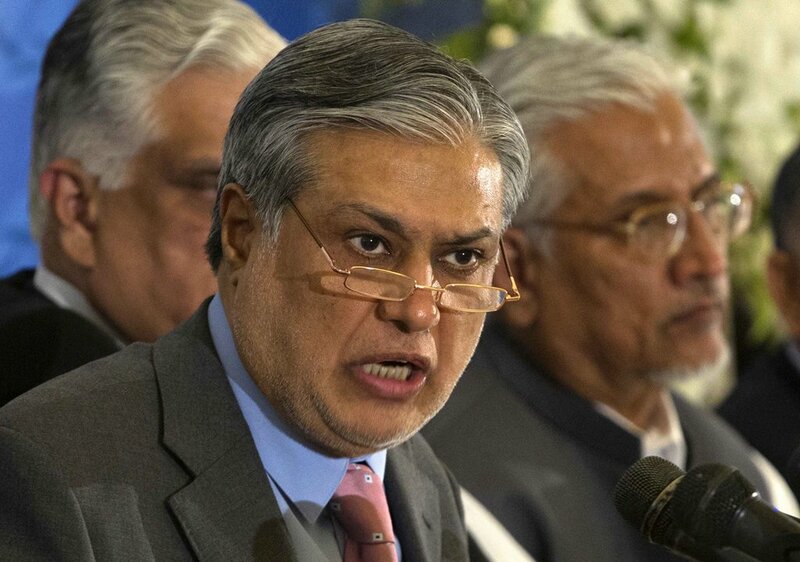 Dar contended that he had signed the Economic Cooperation and Development (OECD) agreement in Paris during the tenure of Pakistan Muslim League-Nawaz (PML-N) in 2016. Speaking to a media outlet, he said an exchange of information was to take place in September 2018 under the agreement. Dar further said that the Pakistani delegation went to Switzerland for an agreement pertaining to Pakistani accounts in Swiss Bank, and the exchange of information began later owing to delay from Switzerland. The good things should be appreciated and all the information is present on the OECD website in this regard, he asserted. “I signed the agreement but never took credit,” said the former minister. He further said that due to the exchange of information the income tax law was also amended. On the subject of properties owned by the former finance minister, Dar claimed that he does not have any property anywhere in the world and he stands firm by his statement. “Did not hide anything, everything is declared,” claimed the former minister. “If the government has any information about any of my properties then it should bring it forth,” Dar added.